Week in Review time already? This week went fast! Meet Remington! He's the latest dinosaur in the needle felt sculpture collection. Despite my shortage of free time, I am always coming up with new projects. Needle felting is no exception to this. My first dinosaur is ready to go, now that I've finally built a display box! Winnifred the Stegosaurus is a 4"x3"x6" soft sculpture, needle felted from eco-fi felt and polyester fibers. 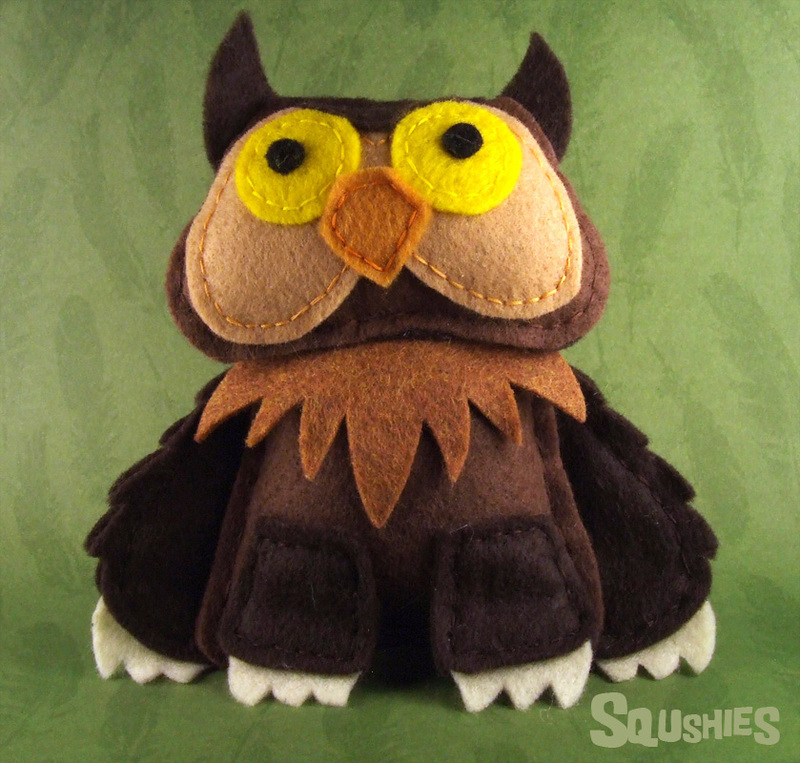 Like all the Squshies, she is hand cut and has her own story. She is not hand sewn, as needle felting requires no thread, glue, or fasteners of any kind and is held together by friction alone =) can you tell I'm way too fascinated with needle felting? Wanna a sneak peek at something we've been working? Something we've been working on since we started making Squshies? 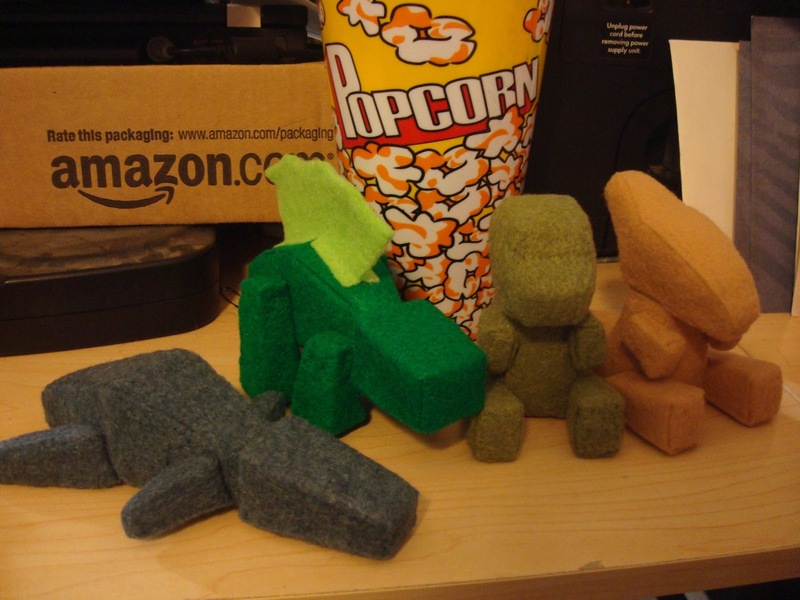 Piling up on my desk (which is already a pile of junk) are my needle felted Squshie dinosaurs. 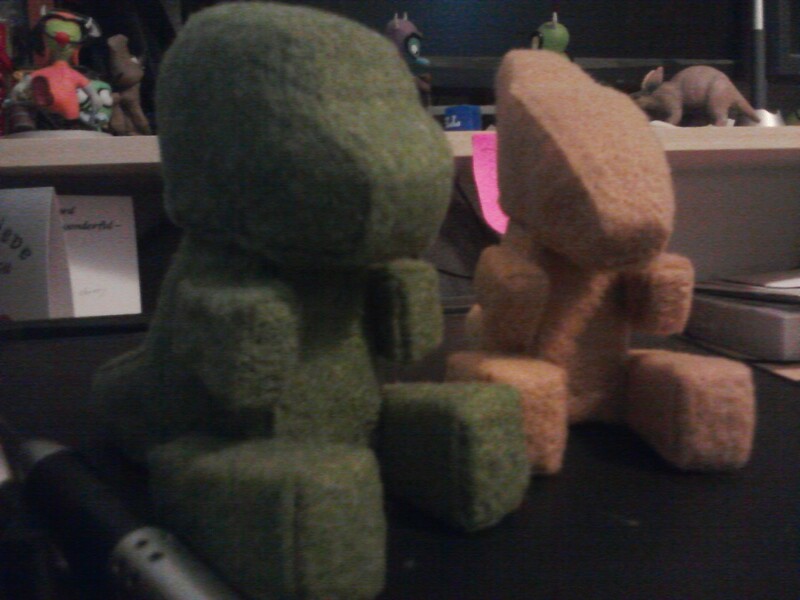 It seems I've decided to build them all before adding any faces or markings to them. Unlike my first experiments, this mess will eventually go up for sale in the Squshies shops; once they have faces, names, and stories of course. Been finding some time to return to needle felting. Quite a while ago we cut out all the pieces I designed for a set of needle felted dinosaurs and I'm finally getting around to them. Working on perfecting my technique as well, these two went a lot faster than the previous ones. a little more work and I may actually have something to sell someday. A change of pace from all the felt animals...felt monsters! Okay not too much of a change of pace because the majority of these monsters are also animals.